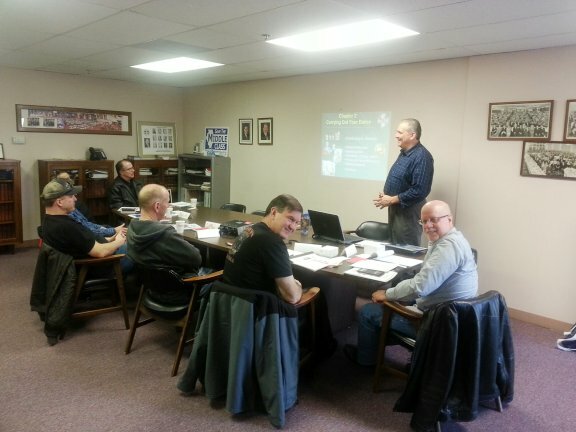 On Saturday, March 28 2015, Midwest Territory Education Representative Ed Manhart provided Executive Board Training for Local Lodge 126 E-Board members at District 8 in Burr Ridge, IL. The majority of the E-Board attended so they could learn the proper individual roles and procedures for the President, Vice-President, Recording Secretary, Secretary Treasurer and Trustees. In addtion, the entire group of attendees learned about all the roles and procedures for the E-Board. Brother Manhart provided hands on training as well as E-Board training materials for future reference by the E-Board. The six hour training was in a relaxed setting with the materials covered in an easy to understand format. 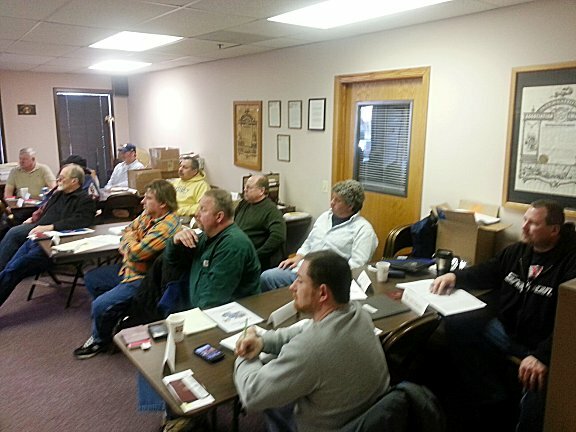 Many of the E-Board members have served Local 126 for many years and are very familiar with their roles. Others were recently appointed, so this was a good opportunity for them to understand their new roles in the Local Lodge. In attendance was Peter Popp, President, Bernie Jiricek, Recording Secretary Bob Novak, Secretary Treasurer Phil Varnagis, Conductor Sentinel Todd Cirullo, Tom Bednarek, Randy Polz, Executive Board, Denis O’Connell, Dave Veloz, Paul Marchiori, Trustees, Jeff Mitchell, Frank Surace, Phil Jackson, Auditors, Tony Skvarenina, Communicator/Educator, Mike Petschenko, Vito Marchese, Carl Kmiec, Stanley Welsandt, CFL Delegates, Michael McMahon, District 8 Delegate and Roy Magnabosco, Illinois State Council Delegate.